I do hope you're already sunkissed and feeling vitamin D enriched! If you're not quite there yet then I have the perfect selection for you this Summer. Get ready for a LOT of pictures of some awesome new products from Seventeen. Seventeen is a brand I think a lot of us grew up with, but it's not just for the young us anymore. I have found in recent years that Seventeen is growing up with me and I don't ever cast it off. Everyone can use Seventeen, and everyone should. I want to show you some incredible products that young or old you will love, because beautiful makeup doesn't have to cost the Earth! During Summer, I find it so hard to stick to one shade. Sometimes I want a romantic pink blush, other times I want a bold lip that pops and just once in a while I want something dark and edgy! These colour cravings can all happen within the space of one holiday, nightmare. That is why I LOVE this lip palette! With a beautiful range of colours that will suit ALL of your moods, this palette is small enough to fly away with you and keep you looking up to date all holiday. The pigments and texture of the formula are amazing, they leave your lips feeling smooth not sticky and the colour really lasts. As well as colours, you get a beautiful pearlescent, shimmery gloss that works perfectly as a contour but there's more about that in the tips they include in the palette! If you're the matte kind of girl, and I feel you sister, then Seventeen has you catered for as well! 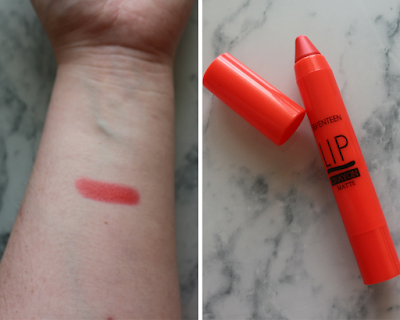 This incredible lip crayon has an amazing pop of colour that can be built up for more oomph! 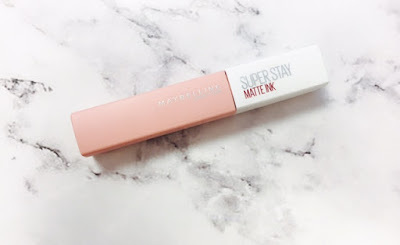 Despite it's matte label, the formula is super hydrating and does not leave you with cracks or flakes. 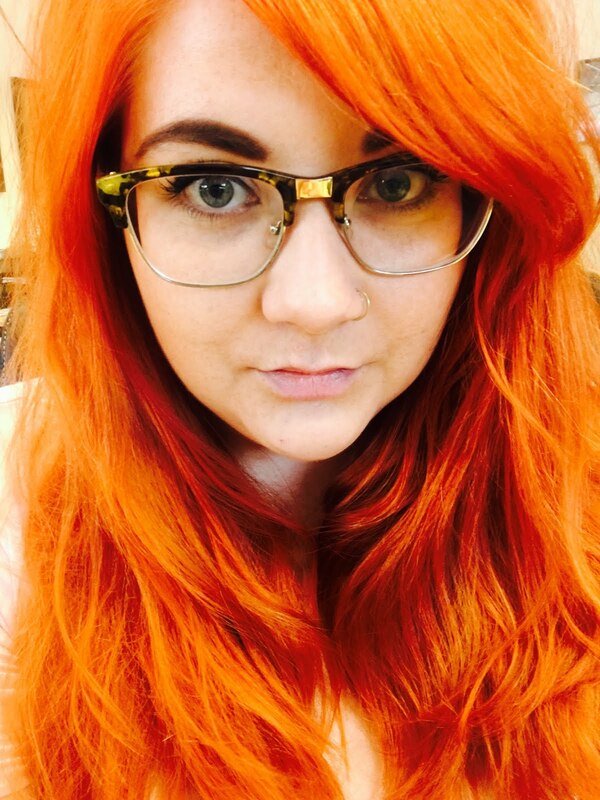 It's the perfect thing to take away with you to a festival or on holiday, this orange tone is so on trend and suits any skin tone. It's the one stop shop for Insta-ready lips! Getting your glow on, on holiday is pretty much compulsory. With the sun bouncing off your skin that shimmer will make you look like a mermaid goddess (who doesn't want that?) Luckily Seventeen's contour kit is packed with shimmer and shade (the 2016 salt n peppa?) This little kit packs a punch, the powder blends beautifully, lasts well and if you're a newbie, it comes with a full guide to contouring like Kim, if not better! This is fantastic for on the go due to the built in mirror, which so many products lack now. And your little guide fits right inside the compact so you know what to put where even if you're stuck in the desert! Now then, they'll be no looking fleeky if your brows are out of line. We can't be having that now can we? This compact is the ultimate must have for anyone on the go or anyone who likes to travel light. There is literally everything you need in this kit (apart from the lady that threads your brows, she wouldn't fit in there). You have 2 different colour powders that suit pretty much everyone so your friends will love you when they inevitably forget theirs, as well as a brow bone highlighter to really sharpen the look and raise the brow AND a pencil for getting that real hair look. Oh, but how will you apply it and see properly when doing so? No worries, it's got a brush and mirror. Right?! It has a tips guide which is so on point, you basically have your own makeup artist in the cutest kit ever. It's not about wanting anymore, you need this! All of these products are available right now at Boots-here. Every product is under £10 and is equally as good as any high end products. This stuff is mega.